Maintaining your vehicle and making it last as long as possible isn’t just about what you are getting done below the hood, or under the vehicle, it also has to do with how well you take care of the inside. You need to keep the inside of your vehicle clean for numerous reasons, not just sanitary ones. Dirt in your vehicle’s carpeting and seats can set in and become stains that you will never be able to remove. Trash can leave a smell in your vehicle that can be hard to dispense, even with the best air freshener. Here are some ways in which you can keep the inside of your car clean and allow you to take just as much care of this part of your vehicle as you do under the hood. Dust your dash often. Just like inside your home, dust collects in your vehicle, and dust on your dash can get gross. You need to wipe the dust prior to putting on your protectant, which will help keep it clean, repel dust, and help you avoid having a faded dash from the sun. Dust is made up of skin and other particles in the air. You should also clean any extras you’ve collected on your dash off. Lots of people toss mail and other objects onto their dashboard and they are not just an eyesore, but they can also be a distraction when you are driving down the road. Instead of continuously grinding dirt, and whatever else has made it onto your floor, into your car’s carpeting, vacuum often. Who knows, you may even have some dog poop or something on there. Gross. If you have a pet that rides in your vehicle often consider carpet treatments that can help remove smell, just like those you use in your own home. It can help make your car smell much better, and work better than a tree shaped thing hanging on your gear shift. Don’t just clean the trash off your dash. You need to keep your vehicle clean and organized and you’ll keep the inside looking good like the outside. When it comes time to sell your vehicle people will be more likely to buy something that still looks new on the inside too! Even if you aren’t selling you should keep your car organized. While a lot of people basically live out of their vehicles you want to make sure you don’t look like some strange hoarder with a car or truck full of garbage and junk. Just like your home carpet and furniture, you need to make sure that you deal with dirt and stains quickly. 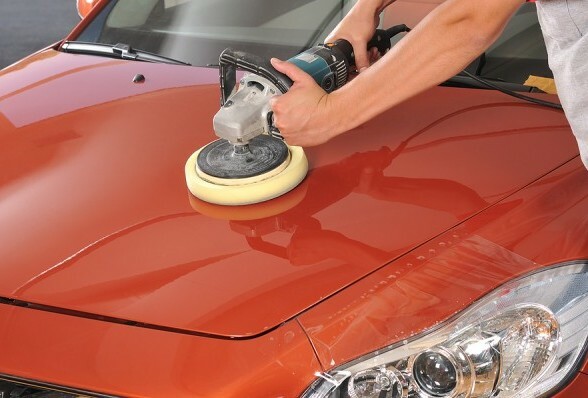 A stain remover you use in the home can work just as great in your vehicle, or you can buy something specifically for cars. Just clean it up quick or it may be there forever.